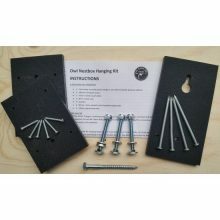 Our deep indoor Barn Owl nestbox is a much safer home for owlets than some designs due to a 455mm (17¾”) drop from the entrance hole to the bottom. Hand built to last, from environmentally friendly FSC-approved 9mm plywood. Approximate size (mm) 610H x 510W x 410D. Weight 14kg. We frequently receive reports of owlets that have fallen from unsafe nest-places, usually from poorly-designed nest-boxes. Fallen owlets are generally ignored by the adults and die. 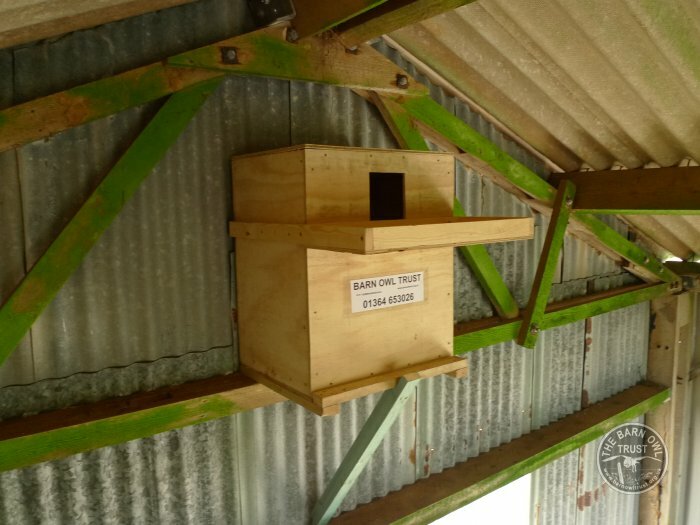 Our deep indoor Barn Owl nestbox is much safer for owlets, due to a 455mm (17¾”) drop from the entrance hole to the bottom. This reduces the ‘fall danger period’ from 38 days to 9 days. 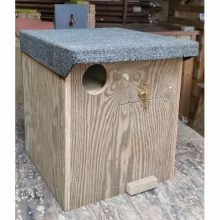 Hand made at the Barn Owl Trust using sustainable FSC-approved 9mm plywood, which will last for many years. Approximate size (mm) 610H x 510W x 410D. Weight 14kg. Imperial sizes: Height 2′ (24 inches) x Width 1′ 8″ (20 inches) x Depth (front to back) 1′ 4″ (16 inches). Weight 30 lbs approx. 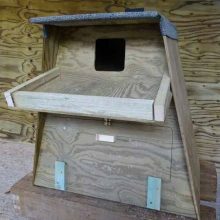 PLEASE NOTE: This nestbox is designed to go inside a building (where it is dry) and is NOT suitable for outdoor use. 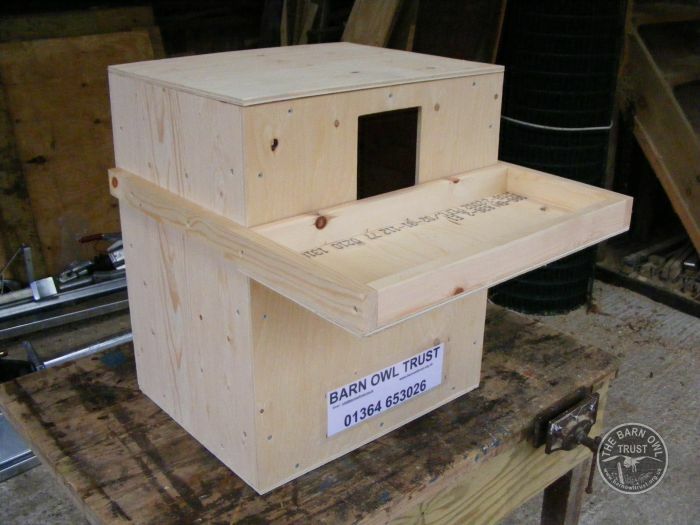 Indoor boxes are recommended where possible – See Barn Owl tree box for outside use. 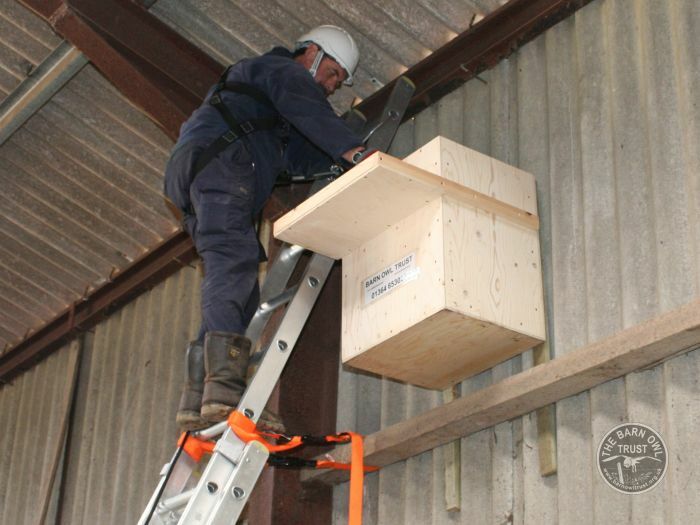 We have developed five owl box fixing methods that allow these nesting boxes to be installed in all types of modern farm buildings as well as old barns. 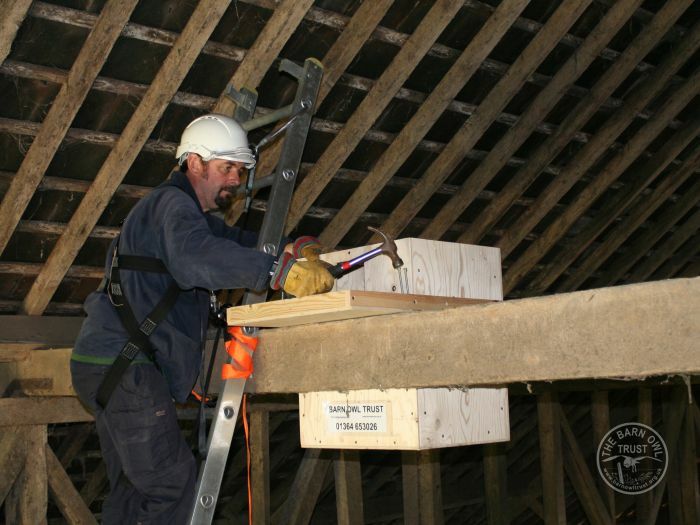 More about indoor Barn Owl nestboxes. 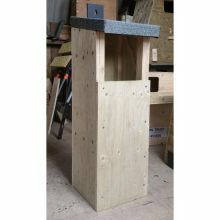 During busy periods nestboxes may not be available for immediate dispatch. Please contact us on 01364 653026 to check availability.